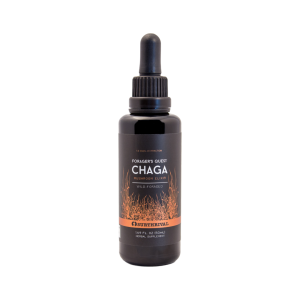 Restore good bacteria to your skin with this live probiotic spray for face and body. Within just two weeks of use, Mother Dirt AO+ Mist improves the appearance of skin issues including sensitivity, blotchiness, roughness, oiliness, dryness, and odour by replacing essential bacteria lost by modern hygiene & lifestyles. Earn up to 77 Rewards Points when you order this item. Formulated with a patented, live “peacekeeper” bacteria to restore essential bacteria that’s been removed by modern hygiene and lifestyles. Restores balance to dry, oily, and sensitive skin types. Preservative-free. Non-fragrance. Family-friendly. Sensitive skin-friendly. We use AOB (Ammonia Oxidising Bacteria) as our core measurement for testing biome-friendliness. Here’s what that means: AOB are one of the most sensitive microorganisms on our skin. Because of this, we believe by formulating a product that’s friendly to AOB means that it will also be friendly to the other delicate microorganisms of the biome as well. We’ve developed a patent-pending assay that we use to screen all our ingredients and the final formula to ensure that it’s A-OK for AOBs. One of our early findings was that preservatives have a negative affect on AOB. This shouldn’t be surprising because preservatives exist for the sole purpose of preventing bacteria and other microorganisms from growing in products. No wonder AOB didn’t do well with preservatives, and why you won’t find them in our formulas. In theory, the motivation for including preservatives is a good one, but at the time, we didn’t know what potential effect preservatives have on our skin biome. This is a new factor to consider. This goes beyond our screening process. When sourcing ingredients, we’ve found many raw materials on their own already come with a preservative. We had to be very careful about our process to make sure we were always starting with unpreserved raw materials. 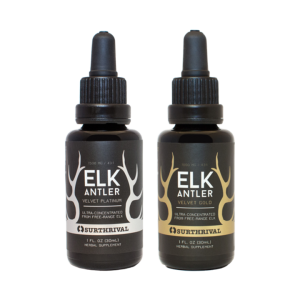 We develop products that nurture and feed a living ecosystem, without ingredients meant to inhibit or kill. This is why our products all come with an expiration date that’s counted in weeks, not years. We recommend storing your mist in the refrigerator prior to first use. Refrigerating your AO+ Mist will keep it potent and active for 6 months. Once you open your AO+ Mist, it’s OK to leave it at room temperature, and keep it handy for use. After 4 weeks at room temperature, the bacteria will start to lose activity. 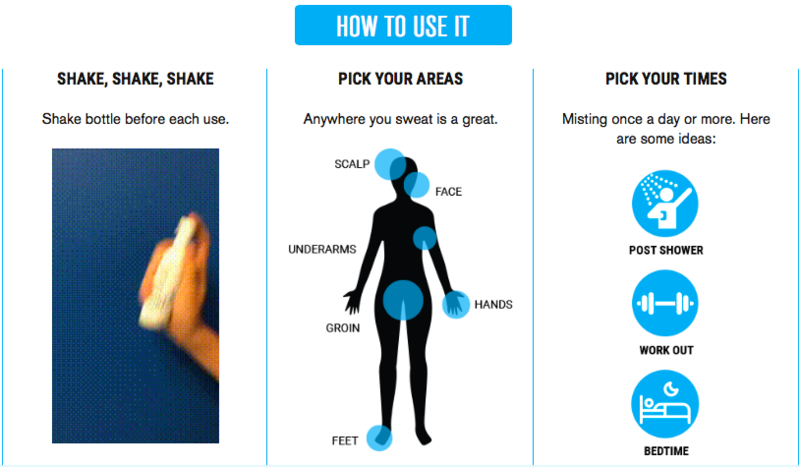 Most people find that it takes them 3 – 4 weeks to use a bottle of AO+ Mist. WHAT IF MY AO+ MIST ARRIVES AND IT’S WARM OR HOT? WHAT IF THE AO+ MIST DOESN’T WORK FOR ME? We know that everyone’s microbiome is unique, and as a result, not everyone will respond the same way. Let us know if it’s not working for you and we’ll issue a refund. Yes. We’ll never recommend that you abandon products you love. (Some of us at Mother Dirt still stick by our favorite conditioner, makeup, and natural deodorant.) We encourage you to experiment and see what works best for you. As best practice, we recommend applying the AO+ Mist as the very last step in your skincare routine, after all other products have had a moment to absorb. 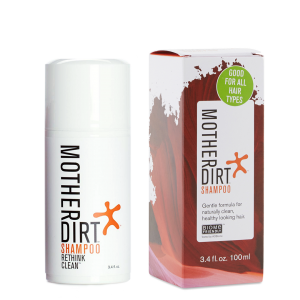 Mother Dirt Shampoo and Face & Body Cleanser were designed specifically to be compatible with the AO+ Mist, and most off-the-shelf products are not considered biome-friendly. Some oils, such as coconut oil, are biome-friendly (as long as they are preservative and added-fragrance free), and will not harm the good bacteria on the skin. The AO+ Mist and Mother Dirt products are safe for use on children and babies. Our ingredients are on each of the product pages, please feel free to run them by a pediatrician or doctor if you would like. WHAT IF I WANT TO REMOVE THE AO+ MIST FROM MY SKIN ONCE I’VE APPLIED IT?